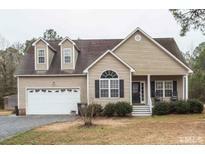 Below you can view all the homes for sale in the Matthews Farm subdivision located in Clayton North Carolina. 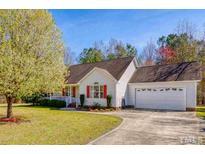 Listings in Matthews Farm are updated daily from data we receive from the Raleigh multiple listing service. To learn more about any of these homes or to receive custom notifications when a new property is listed for sale in Matthews Farm, give us a call at 919-759-5792. 3BR/2.5Ba 2 Story House with Over 2300 SF* Rocking Chair Front Porch* Foyer* Hardwood Floors* Island Kitchen features Tons of Cabinets, Granite Counters & Pantry* Sunny Breakfast Nook* Formal Dining Room w/ Tray Ceiling* Family Room w/ Gas Log Fireplace & Ceiling Fan* Huge Finished Bonus Room* Lush Master Suite w/ Vaulted Ceiling, Ceiling Fan, Walk in Closet, Soaking Tub & Separate Shower* Storage Building* Screened Porch* Fenced Back Yard* Close to I 40, NC 210* MLS#2247728. 1768. Located in the much desired Cleveland township. Come see before it’s gone! MLS#2243420. 4632. Beautiful cathedral ceilings in family room w/ fireplace*Pristine kitchen w/ solid surface counter tops, pantry, tons of cabinets, all appliances convey*Hardwood Floors throughout downstairs w/ laminate in guest bedrooms*seperate dining room*wood shelving*huge master suite with Walk in Closet, dual vanity, seperate shower & bath*Don't miss out on this home...make an appointment today! MLS#2237957. 4883.